While everyone is buzzing around looking for last minute Christmas gifts to “show up” for family traditions, I am sitting on my couch watching the Grinch with my son, coffee in hand, without the worry that I have checked all the gift-giving boxes. No tree was cut on our behalf this year and the house is barren of lights. We have respectfully told our families no gifts please for this Christmas. My son is 1 years old, and he doesn’t yet understand what a traditional Christmas looks like. Our choice to have a no gift Christmas is calculated and intentional. 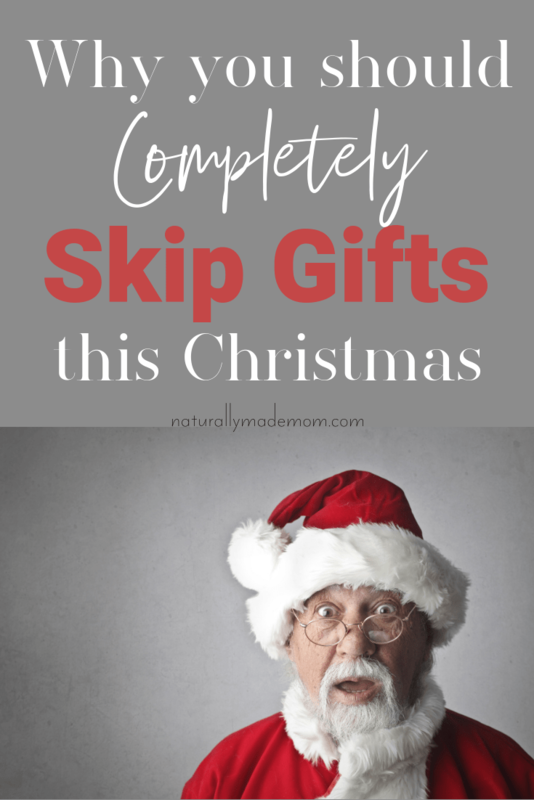 Why should you have a no gift christmas? You see, we spent the better half of this year inching our way through the attic on 100 degree days, carefully making sure to not fall through the ceiling. I was finally brave enough to tackle the guest bedroom closet that was filled from floor to ceiling with God knows what. We have tried to repurpose, donate, and garage sale to the best of our ability, but I can’t deny that our piles of junk will leave a mark on this earth forever. As I spent hours and days of my life going through all this crap, I couldn’t help but consider the meaning behind it all. Every single one of these items represents a small portion of my life. We live in a world where we trade our time for dollars and dollars for things. If these things are ending up in the back of the closet or under beds, then what does that say about how we value our time. Time is not infinite. My years as an ICU nurse has engraved this knowledge on my heart. Each human has an expiration date, it just isn’t clearly marked. I came to the realization that I don’t want to raise my son to find happiness in the accumulation of materialistic items. The feeling we get from opening a new gift is a brief euphoria with a half-life of mere seconds until it’s time for the next one. The interesting thing about memories is the further you are from experiencing them, the richer they become in your mind and the happier they make your heart. I will never forget the quiet nights my husband and I spent under the New Zealand stars. That trip cost us about 4 typical American Christmases and was worth every penny. So, for this Christmas, and probably a handful more in the future, we will focus on giving only memories to each other. These memories will remain a part of us, they will define who we are and what we become. This all sounds just lovely, doesn’t it? No rushing around an over-crowded mall to find something that wasn’t under the tree last year. No more paper cuts. No more post office lines. But let’s face it, kids don’t have an understanding of the bigger picture and how consumerism is affecting our planet. They don’t know that keeping up with the Joneses means that mommy has to go to work instead of staying home and raising them. They don’t have to deal with the stress of the holiday season like adults do. What they do see is all of their friends getting new things. They may feel left out when they have nothing to show to their friends after the holiday break. And while a no gift Christmas may not be practical every year, it is worth trying, even if it’s only once. The LAST thing I want to do is make Christmas less merry by taking away an opportunity for joy. So instead of taking away, I want to give more to my children, even if it takes a little more creativity. Here are some suggestions on how to add joy to a no gift Christmas. Before I go into why you should treat your kids by taking more time off work during the holidays I want to go into a little history of Christmas as we know it today. According to Investopedia, the average American family is on track to spend around $900 each Christmas season. I don’t know what you make but that’s a solid paycheck for me. Imagine if you were able to take one paycheck off to spend quality time with your kids nearing Christmas. You could spend time reading together, going for walks, and making the most epic snow fort EVER. I still have memories of when my dad built us an igloo in the backyard. I pretended I was a mama lion, my sister was the baby lion, and my brother was the bad wolf. A no gift Christmas Could make these memories possible for your family. If only you could give your children the gift of your time and that was just enough. I am pretty sure that 90% of people are food driven and the other 10% are in denial. Many families already have food-related traditions associated with Christmas but what if you let your children steer the way on this one. There needs to be something exciting associated with Christmas morning and if presents aren’t there, then maybe a very special kid-approved breakfast is. You can create an entire day around cooking with your kids. From snowman shaped pancakes to pretending you are a reindeer while eating their special picked dinner. It is possible to have a whole day of fun around the concept of eating alone as long as you don’t dull down the excitement by making Christmas cookies from December 1st on. Sitting at home with no presents to open may make Christmas feel kind of depressing. Which brings me back to the WHY behind a no gift Christmas. It is about teaching our children that things aren’t what creates happiness. It is about not adding to the piles of crap that are already overburdening our landfills. It isn’t about deprivation or taking the fun out of life. Getting value out of life comes in many forms and for a chosen few, it may be about moments versus materials. What if you took the cash you would have put under a tree to the airport and went to Europe? 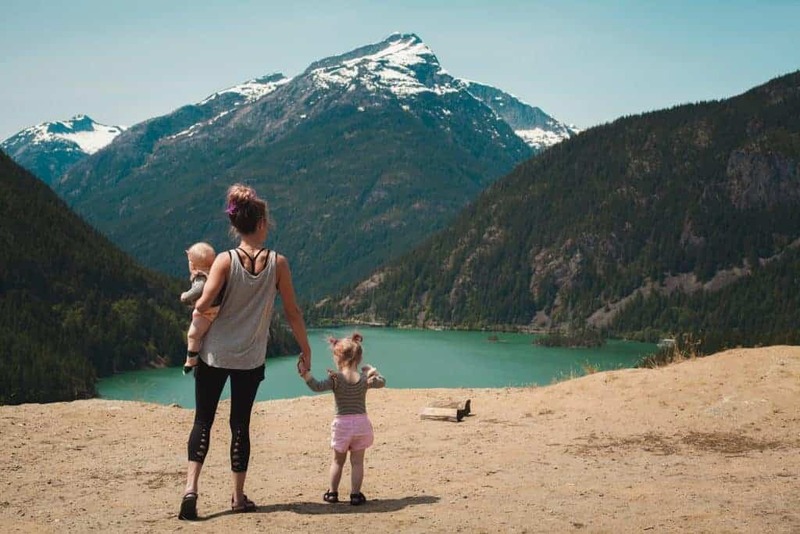 Your family basked in the shimmering glory of the Eiffel Tower or simply enjoyed a quiet walk on the valley trails of Mt. Hood. Related: Tips to survive a long road trip with kids. Related: Everything you need to know about flying with a baby. A few years of no gift Christmases could make that kind of trip a reality for your family. Maybe Mt. Hood is too extravagant or adventurous for your taste. It definitely isn’t practical to go “epic memory style” every year. Typically Christmas is a day where everything is closed. People hunker down with their family, food, and gifts and ride it out in sort of a sweet misery. You know what is a cure-all for everything which I believe is truly beneficial for optimal health? There isn’t an excuse really. Grab a few layers and drive to your local state park. I am sure it is painted a gorgeous shade of white by now. If you live in a small town then you probably already know some beautiful spots that put your mind at ease. 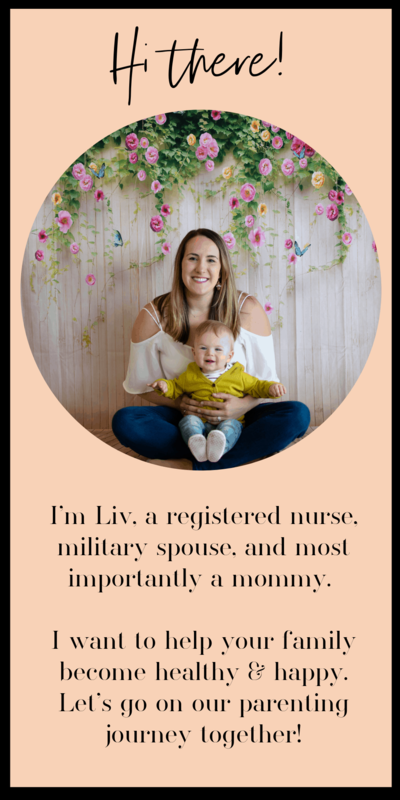 When you get there why don’t you ask each one of your kids what they are most thankful for. Having thankfulness on the mind in a no gift Christmas year takes the focus off the presents and more on all the wonderful things that life has already given us. But why not though? 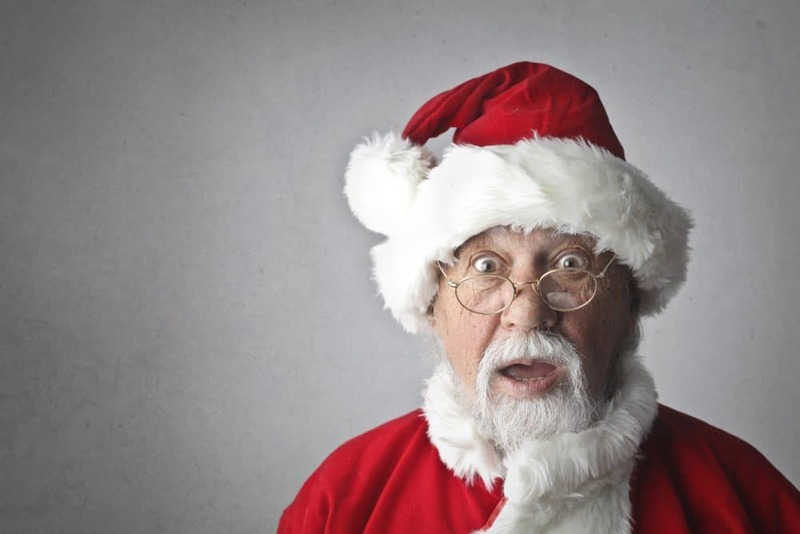 If you are trying to teach your children a valuable lesson, but don’t want to deal with the empty dark cloud that a lack of presents will possibly cause, take them to a soup kitchen or go to a local hospital/nursing home. As a person who has spent many, many Christmases in the hospital taking care of sick people, it can actually be a very merry experience. Giving to others has a powerful effect on the human mind. A study published by Psychosomatic Medicine showed that giving has a reduction of the stress response in the body. And though this may not be a strategy you wish to employ for every Christmas, the lesson will nonetheless be worthy of one day out of the year. Don’t let our culture define what you do with that day or the lessons you teach your children. One way to remedy the lack of gifts is to plan ahead and fill up Christmas Day with making fun crafts. I honestly don’t know a single kid that doesn’t get excited about making a crafty masterpiece. In fact, crafting may have been the highlight of my entire childhood. Except cookie dough. That will always stay at number one. 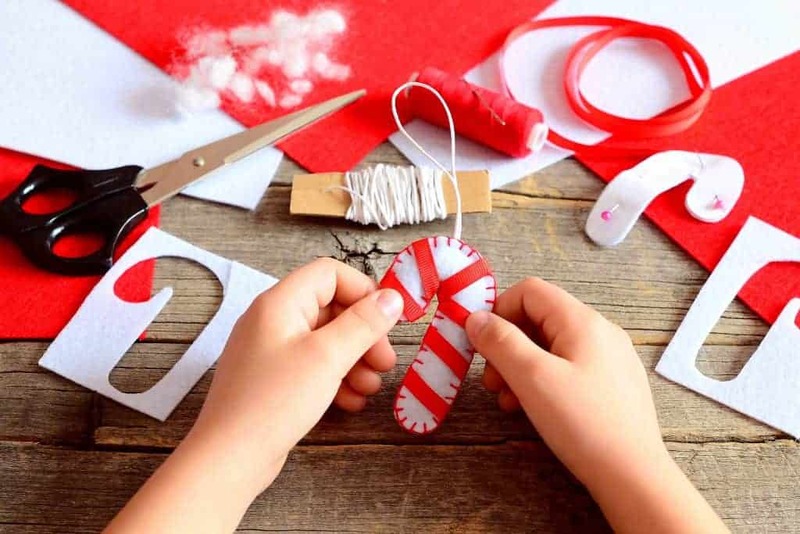 With all the time you will save running around to stores or browsing Amazon, you could truly plan an epic day of Christmas crafts for the kids. Start with decorating wooden Christmas ornaments. It is an easy and simple craft that doesn’t take a lot of resources. Decorating Christmas cookies always comes to mind so perhaps you could save this one for the very day to keep it special. You are convinced that taking the focus off gifts and finding alternative ways to celebrate Christmas is on the agenda for this year. You may even have your kids excited about it. But how do you tell grandma and everyone else in the family so they will respect your wishes without getting offended? Well you could write an article, publish it for the world to read, and then send them a link. I will let you know how this goes. My suggestions are to first and foremost, take it one year at a time. If you go to your family and tell them you are no longer accepting Christmas gifts forever and always they will probably look at you like you have 3 heads and send an even larger package. Explain to them your reasons behind wanting to take a year off from gifts and give them an opportunity to give something else instead. Maybe you could invite them on your epic family trip or suggest they contribute to a 529 college fund. The important thing to stress with extended family is that you are doing this to redefine how you celebrate Christmas for your little family. It probably won’t work when you are joining the extended family for one large Christmas gathering and that is ok! One of the reasons that Christmas is so special is because it is a time the entire world agrees to take more time off and spend time doing what truly matters, which is nurturing the relationships you have with loved ones. If that is the focus of Christmas than it really doesn’t matter how many gifts are under the tree. Christmas will still be merry. Christmas, and every other holiday rather, doesn’t have to be defined by everyone else. In fact, I tend to look around at what everyone else is doing, and do the exact opposite. Don’t give away your life energy to the ultra-consumer culture we have been raised to believe is the way to happiness. Go stare into the depths of the Grand Canyon with your little one in your arms, bundled up in an old blanket this Christmas.